Many professions rely on transcribers. Lawyers use secretaries and paralegals. Doctors and dentists use professional transcribers to record diagnosis. News editors right the work of reporters on content and typographical errors. Among others are Novelists, Corporate Officers and Courts. Transcription has been seen by some as a “mundane” task that should be automated. There are, however, many aspects of transcriptionists’ jobs, that are anything but mundane, and require human judgment: error correction, formatting, clarifying the unclear, recognizing intonations, communicating with professionals in other fields. For some time now we have been looking for a partner that could add value to our service by delivering accurate, affordable and reliable transcription of calls and voice mails recorded by the DLS Hosted PBX. With the release of DLS Hosted PBX 4.2 we are pleased to introduce a new integrated call transcription service provided by TranscriptionHub. Whether you need to transcribe a complex conference call with multiple callers, audio or video call or a simple voicemail, TranscriptionHub offers fast, economical and accurate audio transcription service. You may find this service useful when recapping meeting notes, compiling customer service training materials or compiling legal notes. The service is seamlessly integrated into the DLS Hosted PBX interface making recording submission effortless – call transcription request is sent with a click of a button. 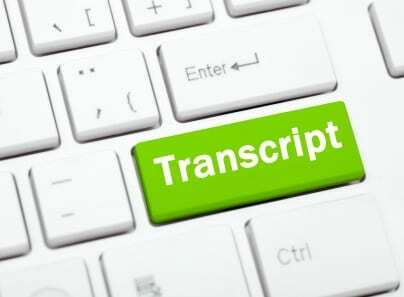 Use of live human transcribers produces near 100% accuracy. Get more details on transcription options from TranscriptionHub at https://www.TranscriptionHub.com.